If you schedule a Dyno Tune with us in March we will take $100 off the normal $399.99 price. INTENSE is proud to offer New Era’s OTR Intake system for the G8 GT. 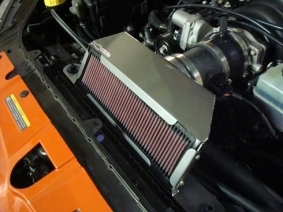 INTENSE is proud to offer New Era’s Over The Radiator (OTR) intake system for the G8 GT. INTENSE is proud to honor the fighting men and women of our country by offering a special labor discount for them. Effective immediately we are offering a 20% discount on all labor done at our shop including but not limited to performance part add-ons, diagnostics, and routine maintenance labor. We support our troops both current and past and thank you for your sacrifice and bravery. To obtain this discount simply present your Military I.D. or other proof of enlistment. New Cometic 5-Layer MLS Head Gaskets Available! INTENSE is proud to offer Cometic’s latest 5-Layer Multi-Layer Steel gasket technology for your 3800 Series II/III. The new Cometic 5-Layer MLS Head Gaskets are available in .066″ and we still offer the 4-Layer .052″ and .065″ thickness gaskets as well.